Come "Hang Out" with friends and have a blast! 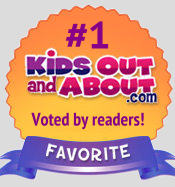 Looking for a safe, wholesome and fun place for your 7-12 year old to "hang out" with friends? Rolly Pollies is the place! Call to make your reservation and get ready for a fun-filled night! Space is limited, call early! "Thanks Rolly Pollies, Max had so much fun!" "My daughter had a blast, we can't wait for the next one!" "Awesome time, so fun! Ms Jen and Ms Lyn are awesome teachers"